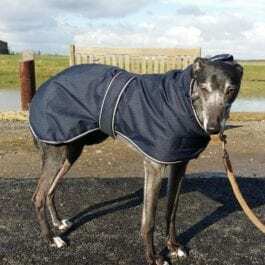 Stylish one off coats – either waterproof or warm fleece lined. These items are made for KGR and are all one offs – so no two jackets will be the same. When they are gone – they are gone. All of the puchase price is donated to KGR. 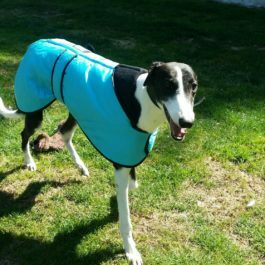 We have a few jackets with fleece lining – they are not waterproof so just for a sunny but chilly day whe you dog wants to look extra stylish. We have bees, bunnies and other very cute materials. 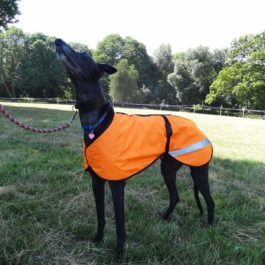 Then we have some waterproof fleece line coats – again in great materials and only 1 of each style.